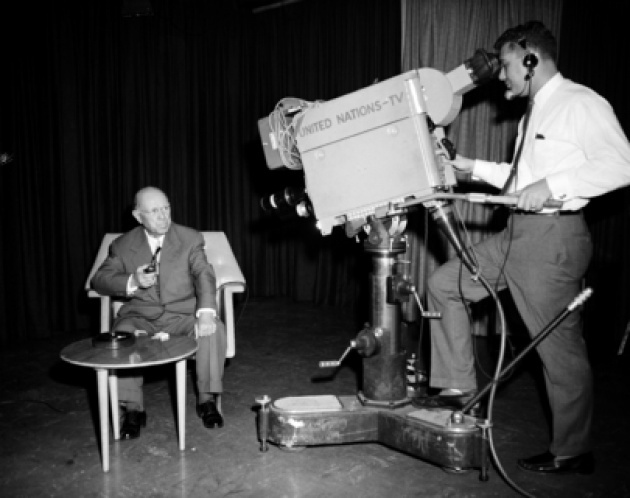 Celebrating the establishment of the United Nations, “UN Day Concerts” became part of the scene relatively early. (Below archive UN photos with captions underneath). They attracted an elite guest list as well as the elite of the artistic/music community. 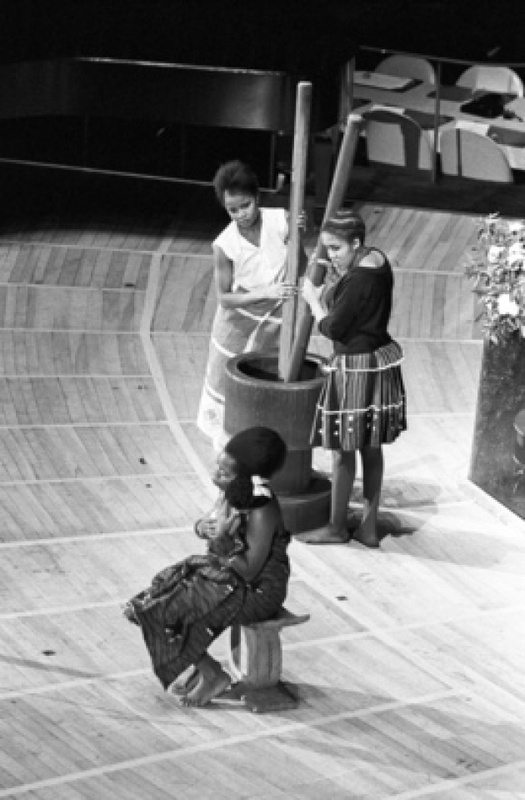 The “Human Rights Day” Concert signaled the growing involvement of the United Nations directly with the global citizen and her/his rights as well as multilateral home for the globe’s states. “An international concert was given yesterday evening in the General Assembly Hall, at U.N. Headquarters, to commemorate the 10th anniversary of the United Nations. 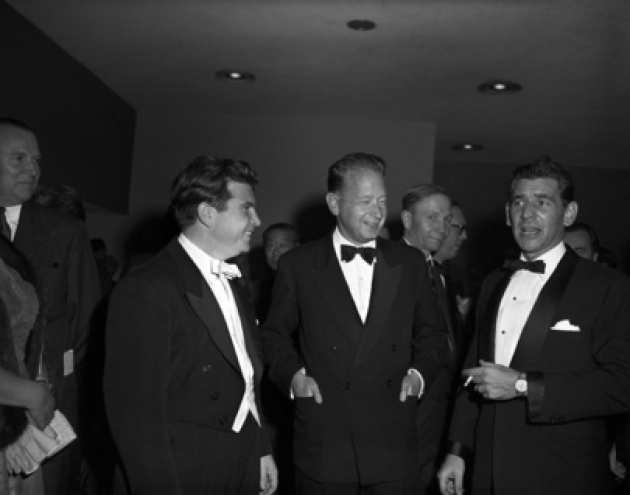 The New York Philharmonic Orchestra was under the baton of Leonard Bernstein. Sir William Walton opened the concert conducting one of his compositions; he was followed by the celebrated Soviet pianist Emil Gilels, who played Tchaikovsky's Concerto Nr 1 in B flat minor; and by Hugh Ross' schola Cantorum which sang excerpts from Beethoven's Missa Solemnis. Pablo Casals, world-renowned cellist, who is in New York to participate in the special concert which will celebrate United Nations Day on 24 October, today visited UN headquarters and met with UN Secretary-General Dag Hammarskjöld and other officials. “The fifteenth anniversary of the adoption of the Universal Declaration of Human Rights by the United Nations was celebrated tonight at United Nations Headquarters by an international concert in which noted artists from many countries took part. President of the General Assembly, Mr. Carlos Sosa-Rodriguez (Venezuela) delivered the commemorative address. 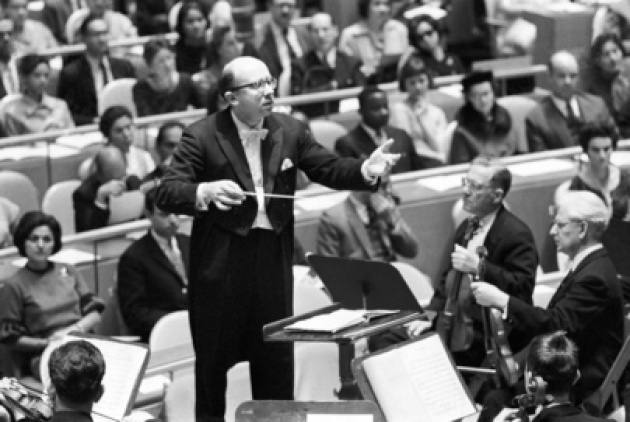 “Jesus Lopez-Cobos conducted the National Orchestra and Chorus of Spain in the 1983 United Nations Day concert held in the General Assembly Hall tonight. 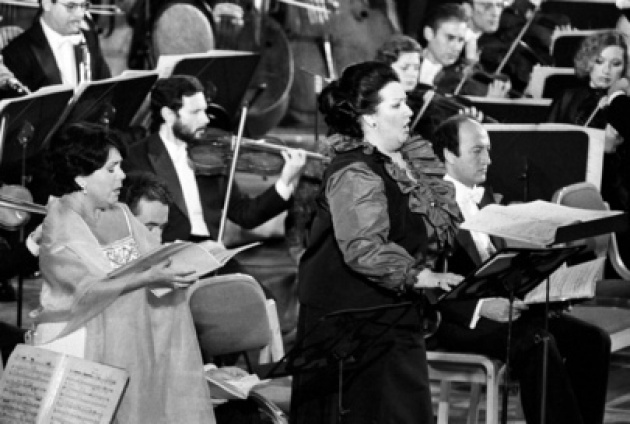 The programme, which consisted of Spanish composer Manuel de Falla’s “Nights in the Gardens of Spain” and “La Vida Breve”, featured pianist Alicia de Larrocha, soprano Montserrat Caballe, and tenor Jose Carreras. Secretary-General Javier Perez de Cuellar gave the traditional United Nations Day address.